The author, who is a philosopher, historian, and retired teacher of Celtic studies at the Sorbonne, has made a lifes study of the Celts and written numerous books on the subject, including The Druids, Women of the Celts, and Merlin. He combines this interest with another life-long passion, the great cathedral of Chartres, in a book that is overwhelming in its information and detail. Chartres cathedral is known the world over for its awe-inspiring Gothic architecture, its light-changing stained glass windows, and its labyrinth, which inspired a whole spiritual movement in America. Located in the town of Chartres, the capital of Eure-et-Loire in northwestern France, southwest of Paris, this famous French landmark would not be suspected of having roots in a Druidic past, but such is the case, according to Markale. In the third section, he looks at the role of the Druids in the history of this area of France and in the origins of the foundations of the cathedral, arguing that it is built on the site where the Druids celebrated Samhain, the time of the interpenetration of the worlds of the living and the dead, an annual festival that demanded compulsory attendance. All of this information-mythical, mystical, and historical-is given in extensive breadth and detail that would have been greatly enhanced by maps, photos, and drawings. Even though there is an eight-page insert, illustrations would have been more useful spaced throughout the book for quick and easy reference, especially for those not familiar with French geography or French history, as names of people and places are numerous and can be confusing. 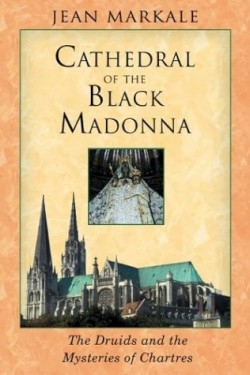 Although not for the neophyte, this book will appeal to the serious scholar and the reader passionate about this unique cathedral; it is rich in information and ideas that can continue to be mined with each successive reading.